Before entering a university, many aspiring college students start to consider what degree program they want to enroll in. While professions like “doctor” and “surgeon” may sound ideal, they also require many years of (expensive) schooling. But if you still want to be part of the healthcare sector, you may want to look into becoming a dental laboratory technician. Dental laboratory technicians belong to a specific profession that has projected job growth for years to come. Significantly, the excerpt above mentions the aging population of the United States, but a large number of those are relocating to South Florida that will need dental care. Another thing to keep in mind is that the $37,000 average salary is, likewise, a national average. In New York, a Dental Laboratory Tech can make upwards of $62,000. What Do Dental Laboratory Technicians Do? Dental laboratory technicians are instructed by the dentist that supervises them to design and construct the dental attachments and the replacements for natural teeth for children and adults, such as crowns, dentures, bridges and dental implants. They can also implant therapeutic devices. Since dental laboratory technicians fashion plastic and metal into a product that attaches to or replaces patient’s natural teeth, they must be extraordinarily detailed oriented and specially trained. Let’s take a look at the dental laboratory technician program offered at FNU. Founded in 1982, FNU is accredited by the Southern Association of Colleges and Schools Commission on Colleges to award an Associate of Science in Dental Laboratory Technology. At FNU, we provide our students with the training and skills that they need to become a successful dental laboratory technician in Miami. The Associate of Science in Dental Laboratory Technology (DT) degree program at FNU is a 60-credit program that focuses primarily on the technical training and theory in the areas of Full and Partial Dentures and Crown & Bridge and Porcelain. The two-year Dental Laboratory Technology program at FNU includes 15 credit hours of general education and liberal arts courses. If a student does not show computer literacy, they will also need to take a computer course. FNU awards a diploma Associate of Science in Dental Laboratory Technology upon graduation. It is important to note that this degree program is not transferable to another institution of higher learning. If you are interested in doing so, however, our academic advisors are here to help find the best bachelor degree program for you. 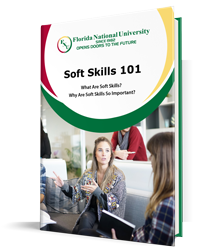 For admission, a student’s Ability-to-Benefit (ATB) entrance score for all three programs must be at least 200 in the verbal section and 210 in the Quantitative in the Wonderlic Basic Skills Test. Let’s take a closer look at each FNU program. This program study teaches students how to become highly trained and competent dental laboratory technicians who will meet all requirements for employment in any dental office. This program typically offers technical training and theory in general areas, and in Full and Partial Dentures and Crown & Bridge and Porcelain. For a student to graduate, they must complete all 60 credit hours. While the requirements for this course are the same as above, this program has a minimum of 30 credit hours and hones more on the technical training and theory in areas of full and partial dentures. You can expect to complete this program in 8 months. This program also has a minimum of 30 credit hours and hones more on the technical training and theory in areas of crown & bridge and porcelain. This program can also be completed in 8 months. Do Dental Laboratory Technicians Need Certification for Employment? Obtaining a certification in dental laboratory technology is entirely up to the individual student. For a student to become a dental laboratory technician, no postsecondary education is required. But, it is essential to know that most do have at least a high school diploma. Attending a training program to become a dental laboratory technician is a quick way for a student to gain an advantage in the competitive job market and to be considered a top-tier candidate in Miami. At FNU, we offer many scholarship opportunities to our students and also offer the same tuition price for our international students as well as our local students. Our semesters of 16 weeks are equally divided into two eight-week terms to add even more flexibility to our student’s schedules, which in turn gets them into the workforce faster than in traditional programs. Also, note we have day classes as well as evening classes. Start a Career as a Dental Laboratory Technician Today! If you are incredibly detailed-oriented, and you also enjoy making things with your hands, becoming a dental laboratory technician may be a perfect fit for you. It is a small investment your “in” into the healthcare sector. From an entry point like this, it’s all up to you how much farther you go. 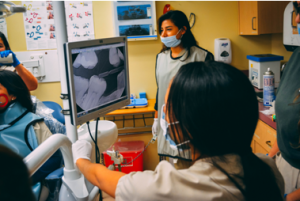 If you are interested in learning more about FNU’s Associate of Science in Dental Laboratory Technology degree program, you can speak to an academic advisor today. If a career as a dental laboratory technician is something that you can see yourself doing, you should consider signing up for one of our training programs today. Doing so will bring you one step closer to a happy and healthy career!